This ornament has one side of the front of the commemorative coin, and the other side has the backside of the coin. They are porcelain. Beautiful, clear images! Price includes shipping. Sale of the gun has now ended. 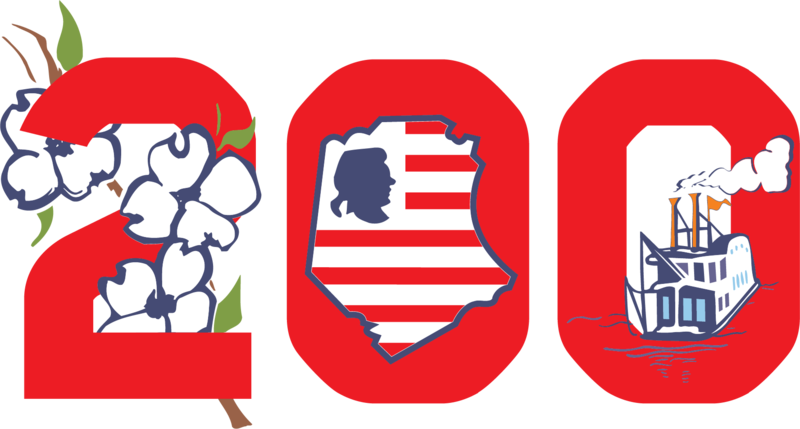 The 2018 Jefferson County Missouri Bicentennial Calendar! It features 15 historic sites in the county. Calendar $10 + Shipping $2.